When we go to any gatherings with Jim’s family we can always expect some things. The kids will be hyper and excited to see each other, the grown ups will have a lot to catch up on, and Jim’s grandmother will bring her delicious taco dip with chips. 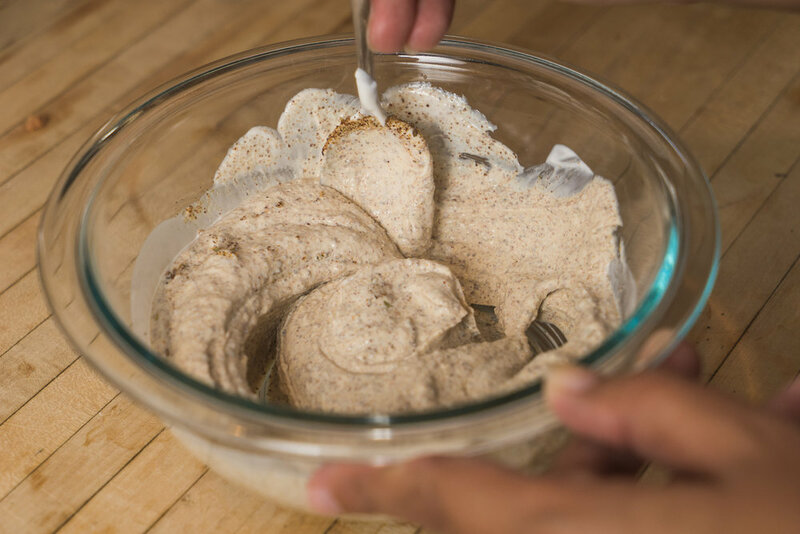 After a few times of having it, we finally asked for the recipe and boy were we surprised and pleased to find out how easy it was to make! Food that is good and easy tends to get made which means people are getting in their kitchens to make it, which makes me happy! 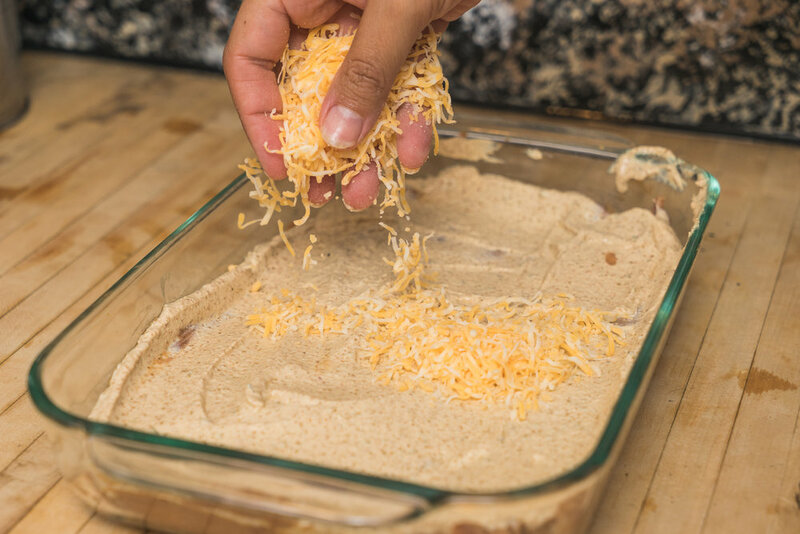 This dip is usually served as an appetizer with Jim’s family; however, I have used it many a night when I needed something quick for dinner and wasn’t feeling the cooking vibe. It’s truly at it’s best in the summertime and early fall since the days are still warmish and the tomatoes are still fresh, but it can be enjoyed anytime you need a dip to feed a crowd and you need it now! 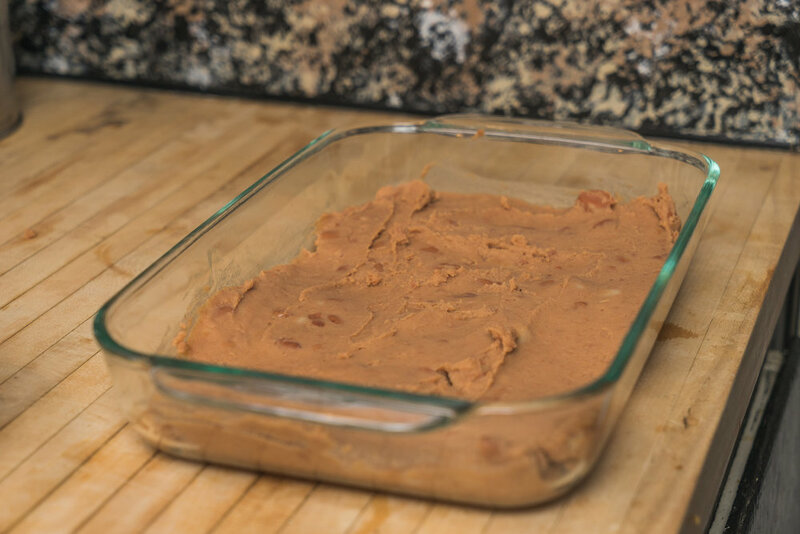 In a casserole dish spread the can of refried beans out, covering the bottom and ensuring a somewhat even and level distribution of beans. 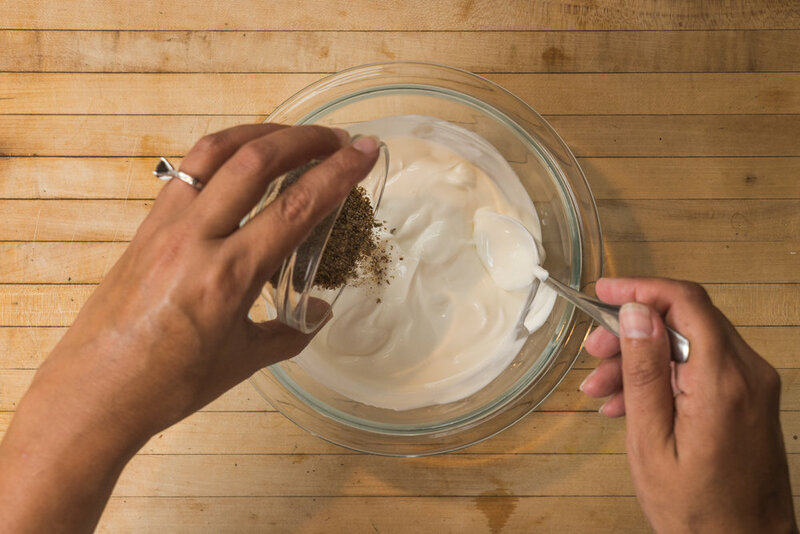 Mix the sour cream with the taco seasoning until fully combined. Adjust seasoning if more is required (if it is too spicy you may add a bit more sour cream to tone down the flavor). 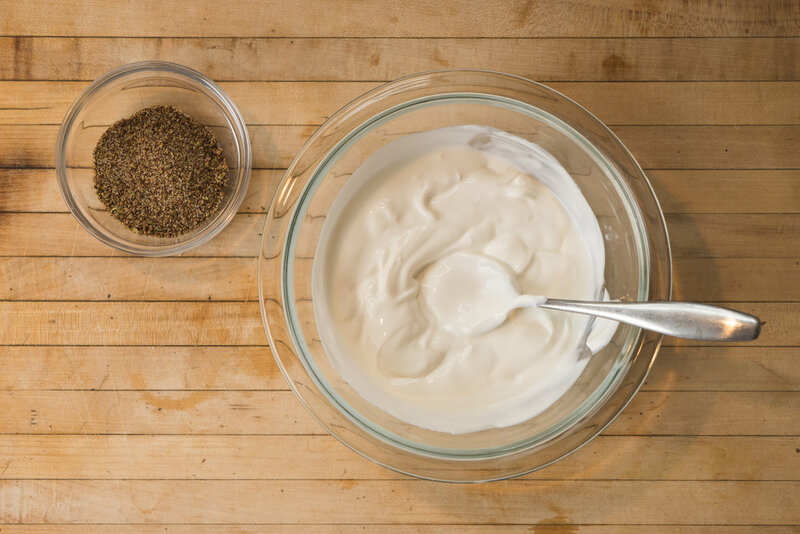 Spread the sour cream mixture over the bean layer, smoothing and distributing it evenly over the bean layer. Sprinkle cheese over the sour cream layer. 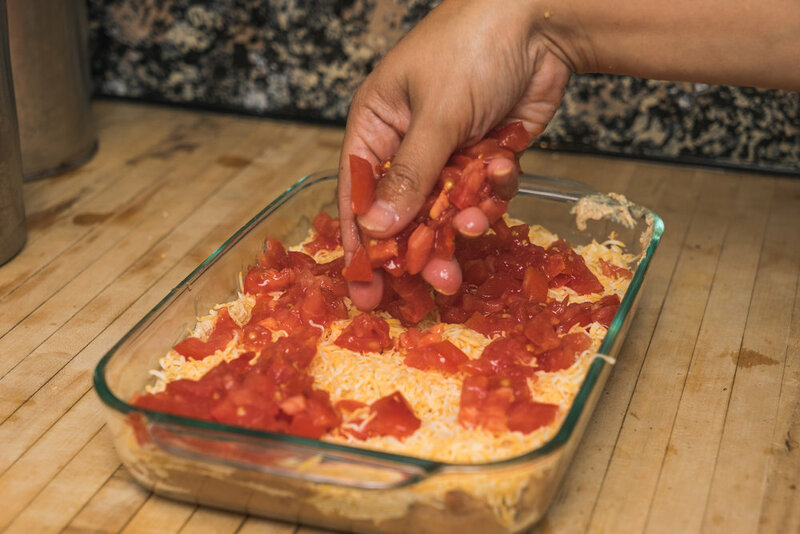 Spread tomatoes over the cheese layer and top with the green onions. Chill for at least 10 minutes for the layers to settle and serve with favorite chips, crackers or veggies. This dip refrigerates wonderfully so if there happens to be any leftovers you can always pack this as an awesome lunch the next day or a late night snack. So good, so fast and so easy! What a perfect recipe! If you want a heartier meal or just do not care for refried beans, you can replace the beans with 1 lb. of cooked ground beef seasoned with taco seasoning. 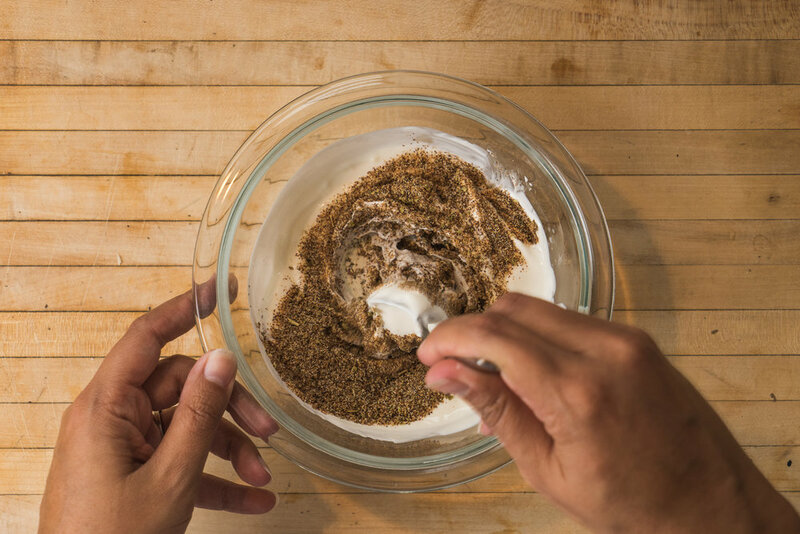 You can use about 2-3 tablespoons of homemade taco seasoning or the other half of the packaged taco seasoning mix that was used for the sour cream mixture.